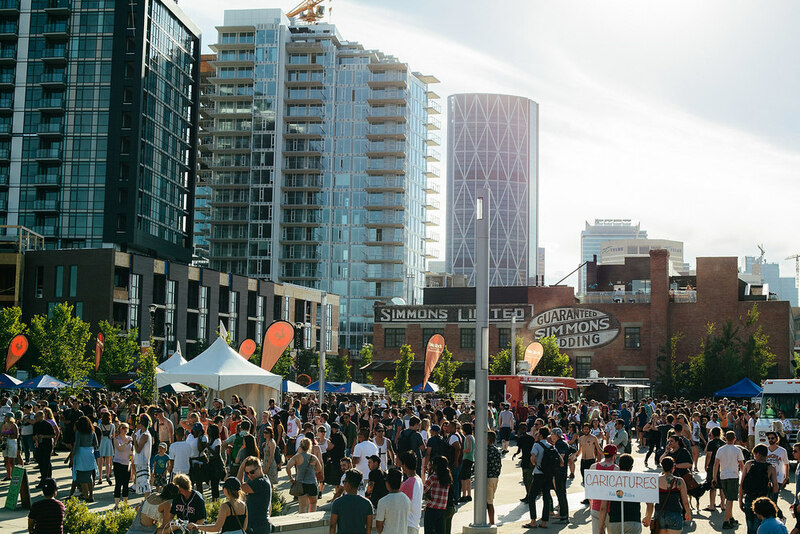 Welcome home to East Village, Calgary’s most livable, walkable, playable urban village. 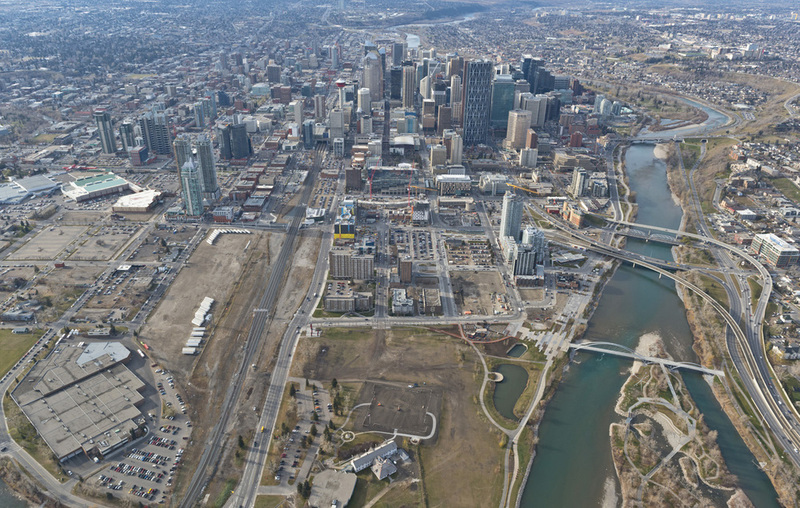 At Calgary Municipal Land Corporation (CMLC), we have built East Village to be the place where you belong. We’ve created welcoming streetscapes and built easy connections to the rest of Calgary. We’ve designed great outdoor recreational spaces like RiverWalk and St. Patrick’s Island. We’ve established a vibrant public arts program and built a lively year-round events calendar right into your neighbourhood. We’ve restored the Simmons Building to be a gastronomic destination. And we will continue to make East Village the kind of energetic and neighbourly community that you’ll want to be part of. This portal will help keep you informed of the latest news in East Village and answer your questions, as they arise, on happenings in the community. Some changes are inevitable as East Village continues to build up. New pedestrian lane openings, road closures, parking interruptions and service outages are all updates that you need to know about. Stay informed on all the latest in construction activities. Click here for current and/or upcoming construction programs. East Village has become famous for its vibrant calendar of events and community activities. Being an East Villager means that you have a year-round calendar of events happening at your doorstep. CMLC manages all public spaces within East Village (including RiverWalk, 5th Street Square and St. Patrick’s Island), and our dedicated events and activation team works year-round to deliver a robust calendar of community events and programs in East Village. We strive to offer a rich palette of street fairs and arts markets, performances and block parties year round. To find out about all the events and happenings in your community, click below. Interested in hosting your own event in your new neighbourhood? Click on the link below to complete an event request form and to book your special event along RiverWalk, St. Patrick’s Island or the St. Louis. What is the East Village Neighbourhood Association (EVNA)? EVNA represents the interests of the neighbourhood’s long-time residents and businesses, holds annual events including a street fair, assists with programming in the Golden Age Club and provides many other services. CMLC is an active member of EVNA, attending meetings to bring East Village residents up to date on development news and issues, ensuring long-time residents feel welcome in the rapidly evolving neighbourhood. CMLC and EVNA worked hand-in-hand to support the neighbourhood’s most vulnerable populations during the 2013 floods, which impacted the older residential towers. How do I follow East Village on social media? East Village is active on various social media platforms including Facebook, Instagram and Twitter. Follow us to stay up to date on events, construction updates and real-time road closures that effect you. What volunteer options are there in the community? CMLC is the master developer of East Village and since 2007 has invested over $357 million into infrastructure development within the community. Our work has built streetscapes, bridges and an underpass and developed all of EV's public spaces like RiverWalk and St. Patrick's Island. While CMLC manages the bulk of all road construction in the community, there are occasions when road closures will be in place to accomodate building site construction or general infrastructure improvements. If you have a concern please contact CMLC. Who do I contact for updates about development in East Village? To stay up to date on development in East Village, visit our EV Ambassador team located in the East Village Experience Centre at 553 Riverfront Avenue SE. This front-line team can provide you with up to date community information. You may also visit the EV website for project updates. Who should I contact about renting a public space in EV for an event? Who should I contact about booking common spaces in my building? To book common spaces in your building please contact your developer (Embassy BOSA, FRAM+Slokker or Knightsbridge) or you Condominium Management company. What programs does The Calgary Rehab & Drop in Centre offer? The DI has been a part of East Village since 2001 and works to ensure the needs of people who are homeless or at risk, are met in a respectful, comprehensive and safe way. To learn more about engaging with vulnerable people, please click here to read about workshops offered at The DI. Who do I contact to report a neighbourhood concern? If your concern is to report a crime or public disturbance, please contact Calgary Police service either through 911 or the non-emergency line 403-266-1234. For all other concerns, please contact City of Calgary at 311.
Who do I contact with questions about my condominium? All quesitons specific to your home should be directed to either your developer, Embassy BOSA or FRAM+Slokker. CMLC is not responsible for building-related matters. Where do my visitors park? Your first option for visitor parking is your dedicated indoor visitor parking area in your building. There are also over 500 on-street Calgary Parking Authority (CPA) run stalls which are located within walking distance of your new home. Looking for an answer that we haven't covered on this page, contact Jack Olson at CMLC at resident@calgarymlc.ca or 403-718-0300. Hours: Monday - Friday 8am - 4:30pm. Hours: Monday - Thursday 12-6pm, Saturday/Sunday 11-5pm.